Bicycles were first introduced in Germany during wood and iron age, when “dandy horse” has been introduced in 1817, as a two wheels, with no pedal, however it required accurate balancing by the rider. Since then it have been versatile functions: recreation, work, military, show, sport, tourism, etc. and now we are in „hybrid bike” age. In Finland there are about 3 million bikes compared to Beijing for example, where there are 9 million (Katie Melua tells us so). 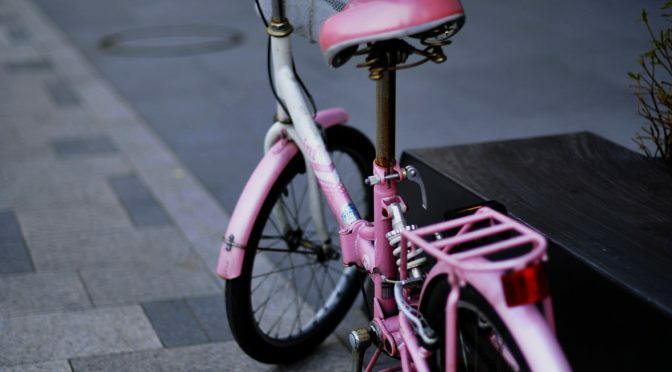 However over 60% of Finns are biking regularly and it is gaining and increasing momentum, as more and more people without reference to the age or social status choose to leave their cars behind and hop onto their bikes. As a result, 9% of all trips are made by bike. 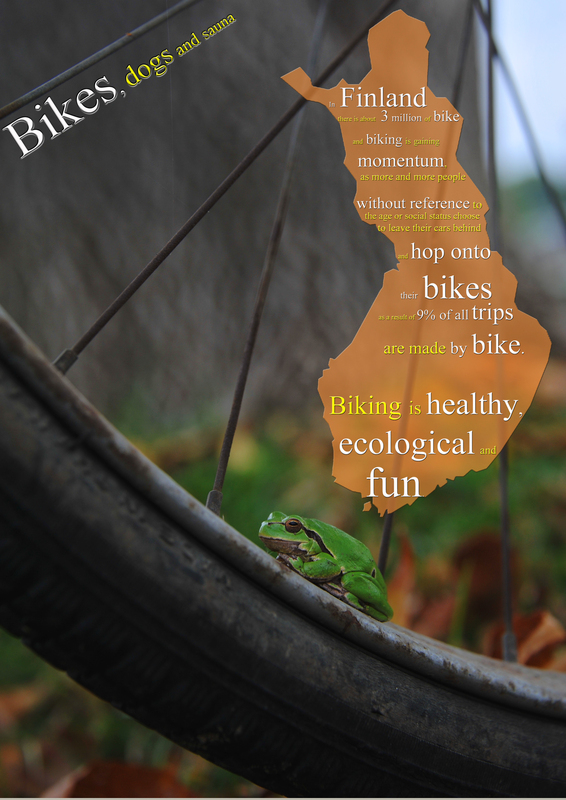 Biking is healthy, ecological and fun. For a Mid-European the cycling season in this country would be really short from somewhere plus 10 and above, however here riders are not afraid of neither the rain, nor slush, nor event winter climate, when we are below zero Celsius. Finland, a young but strong country, is a land with vast distances and with a population of around only 5 million. It is not so rich in natural resources, however after the 70’s the country has seen a very impressive growth in various sectors including economy, culture and education, as well. As a results of all of these changes in 2018 it has been selected to be the “happiest country on Earth”. So, I have to admit that it is an unforgettable experience that I can live here and work at UEF since fall 2016. 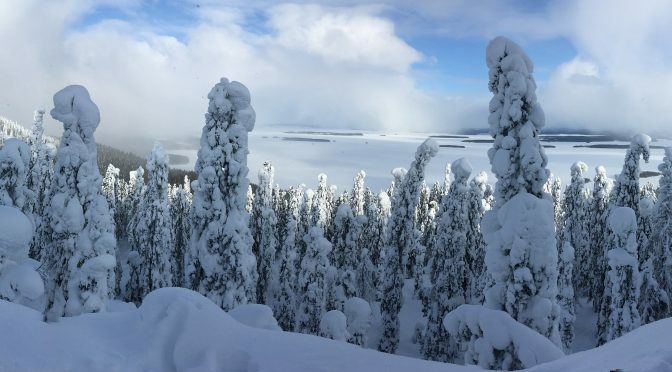 For many foreigners the natural beauty of Finland, from hundred thousands of lakes to forests, from sea and archipelago to Lapland, is truly breathtaking. Its attractive and spectacular landscapes and natural scenery attracts people and photographers so you can easily find eye-catching images all around the web. However, I would like to share with you my own experiences obtained during past years. Hope you will like some of these pictures. If you happen to be in Joensuu during the spring term, and if it happens to be a year in which the IBU Worldcup takes place in Finland, experiencing the cheerful atmosphere of a Biathlon race in Kontiolahti is an entry on everyone’s bucket list you cannot miss. 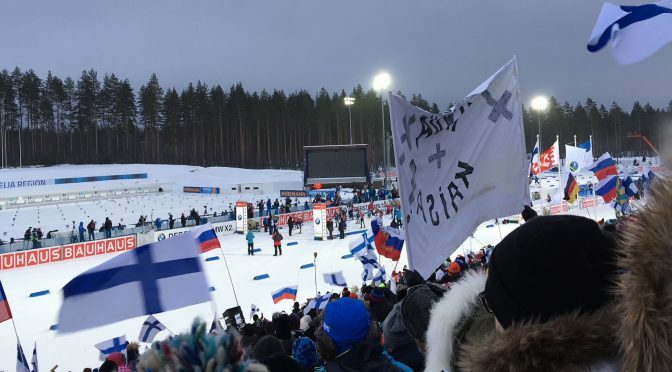 Even if you are not a big fan of sports, the happy atmosphere is a great event to attend and watching the race in the snowy, Finnish forest against the backdrop of beautiful Lake Höytiäinen is surely something I will not forget. If you are familiar with the gripping sport you will know where this blog entry is heading. If not, let me back up. When I started my trainee position at UEF’s Development Services, I was asked to write some texts for this blog, too, and share my experiences. Happily, I agreed. “Yes,” I though, “this will be a great thing. I will write something soon, for sure!” Here I am, five weeks later, finally writing these lines and wondering: Where did the time go?! It went to meeting many new people every day during the first weeks, to getting to know the work and tasks, to learning the Finish language, and to experiencing (and falling in love with) the beautiful Finnish nature and culture. I don’t mean to be repetitive, but the Finnish friendliness and the beauty of Finland’s nature really cannot be stressed enough. My days at work at the office are filled with laughter and friendly faces in the corridors – and, of course, the very enjoyable, regular coffee breaks. I am given both: guidance with what I have to do and responsibility to do things by myself which makes me feel very welcome, valued, and supported at all times. Another thing I strongly feel is gratitude for this opportunity to spend the next four months here in this new and exciting working environment. Well, only 3 more left.